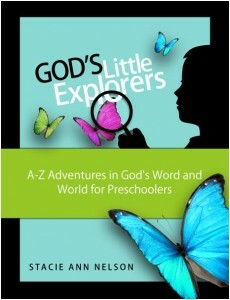 God’s Little Explorers: Preschool Curriculum Schedule for 2013-2014 + LINK UP Your Blog, Pinterest Board, YouTube Music List, Etc.!! Due to the high volume of emails, comments, and questions I’m getting about God’s Little Explorers, I have a few posts planned for this week! Last year, you may remember (if you were a subscriber at that point), I launched a free weekly preschool curriculum called God’s Little Explorers. I wrote the lesson plans each week and shared them with you so that you could use them if you would like. What has happened since that time has been nothing short of amazing. So far, thousands of you have the curriculum and are using it in some way, shape, or form. Anyway, today I wanted to share a weekly schedule you may want to use if you will be going through the curriculum. Please note I said MAY. Every family is different and unique–your schedule is not the same as mine, and I don’t expect anyone to use the exact same schedule. With that said, I have had tons of emails and questions, so I’m posting my sample weekly schedule here. Since my youngest daughter is now doing Kindergarten work, I won’t be repeating the curriculum with her, but I will be reposting the lessons weekly. I plan to repost them on Wednesday evening for those of you who want to follow along. I decided it would be a good idea to repost them a little early, so you can get supplies and whatever else you need ready for the following week. I will also post some FAQs about the curriculum tomorrow and repost the first lesson tomorrow evening. Here is my proposed schedule for 2013-2014. Again, this is just a basic schedule. No need to follow it, but I designed it for Christmas lessons to hit during December, the Valentine lesson to *fall* during the week of the 14th, and the Easter lessons to happen in April. One thing I also thought would be really neat is to give you a chance to link up and be a resource for other moms! I know some of you have put together YouTube song lists, some of you have Pinterest boards specific to God’s Little Explorers, and some of you are even blogging about your journey. I would love for you to link up anything related specifically to God’s Little Explorers below. This is helpful..thank you. And it helps me know I’m not behind 🙂 I had grand intentions, oh yes, but life happens and we have not yet embarked on this fun journey. I’ll aim for Monday! 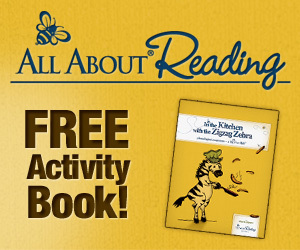 I have bee praying about this for the last few days to begin this with my preschoolers in my daycare. I am really excited about this and know the Lord has shown me the answer through your update and what is ahead. Excited to go forward!!! Thank you and God bless you!!! Yay! So glad to have you! Thank you for your encouragement! My daughter and I are enjoying using GLE! Thank you for the awesome curriculum… and thank you for the opportunity to link up! Yay! I hope you have a great time! First off I want to say that I love the curriculum…My grandson and I have been using it for the last school year. I was wondering where to find the updates as he will be doing preschool again this year. I am financially challenged and unable to purchase the program even though it is very reasonable and if I was working I would definitely invest.